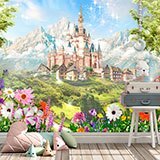 Wall mural Disney castle. 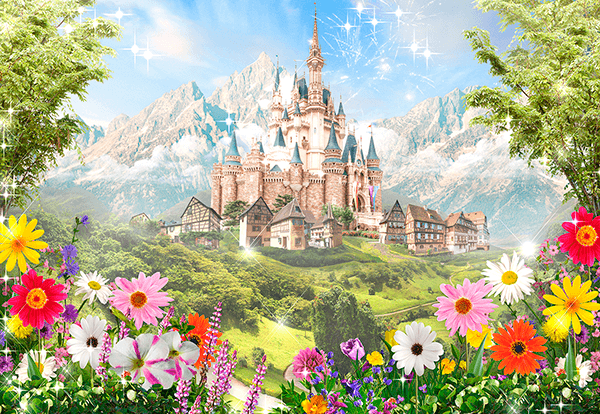 Amazing image of Disney Castle among the houses of a beautiful Austrian village, in the middle of the mountain. 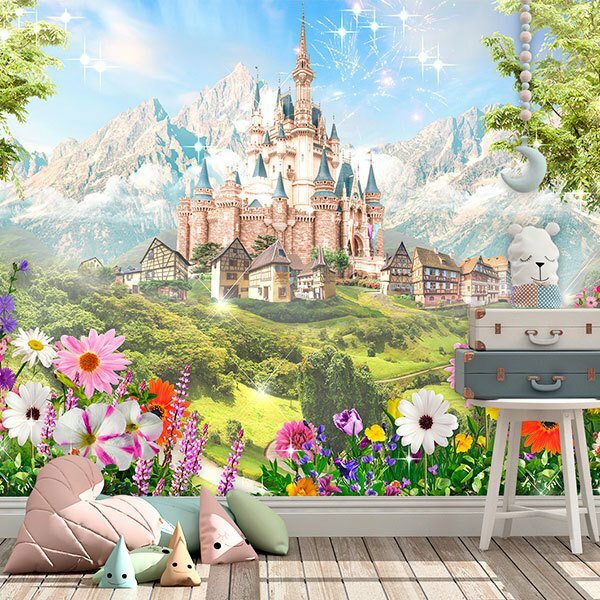 In the front there are large flowers of different kinds and intense colors. Fireworks come out of the castle and in the background the Alps rise.